Launched in Paris in 1988 by François Pasquier and a handful of friends, Le Dîner en Blanc has become a worldwide epicurean phenomenon. 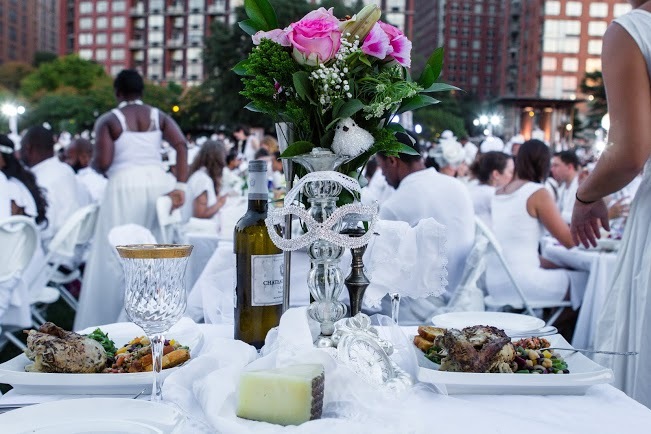 Dîner en Blanc ‐ Paris now attracts nearly 15,000 people each year. What was a “friends and word‐of‐mouth only” event has grown into an international sensation celebrated on five continents. While the technology behind the event may have changed over the years, the principles fuelling this fantastic event have not: guests continue to gather at a secret location for the sole purpose of sharing a gourmet meal with good friends in one of their city’s most beautiful public spaces. Each year, this secret posh picnic in over 60 cities in more than 25 countries around the world is headed by passionate local organisers who fell in love with the concept and wanted to bring it to their city, giving this rendezvous a local flair. Picture over thousands of foodies, fashionistas and cultural enthusiasts gathering for this all‐white viral dinner event. It truly promises an unforgettable evening of elegance, beauty and magic. The most exciting part for guests? This genius annual secret affair takes over an undisclosed public space whose location is only revealed minutes prior its commencement. Previous Singapore locations include Marina Barrage at Gardens By The Bay, and Tanjong Beach Club in Sentosa. “We’re very excited with this year’s SG50‐themed Dîner en Blanc,” says Alex Philippot, Managing Director of Fullcolors Event, and now one of the new hosts of Dîner en Blanc ‐ Singapore. Guided by Dîner en Blanc volunteers, these groups will then converge on one of the city’s most beautiful settings, travelling by foot/bus/public transportation. Guests are required to bring their own gourmet feast, table, chairs and table setting. Over the course of the evening, they will eat and celebrate amid music, entertainment and dancing. The evening is filled with visually breathtaking moments, including the waving of a cloth napkin to mark the beginning of the dinner and the lighting of sparklers to let guests know they are now free to mingle and dance. A trumpet sounds to signal the end of the evening, and guests will pack up all of their belongings, pick up all their litter and head back into the night, leaving behind no sign of their elegant revelry. Registration to participate happens in three stages: Phase 1 is for members who attended the previous year; Phase 2 is for new members who are referred by Phase I attendees; Phase 3 is for people who signed up on the waiting list via the official website: singapore.dinerenblanc.info/register, by 31 October 2015. Wine and champagne must be pre‐ordered through Dîner en Blanc website. A catered picnic basket option, which can be picked up on site, will be available for those who do not wish to pack their own. 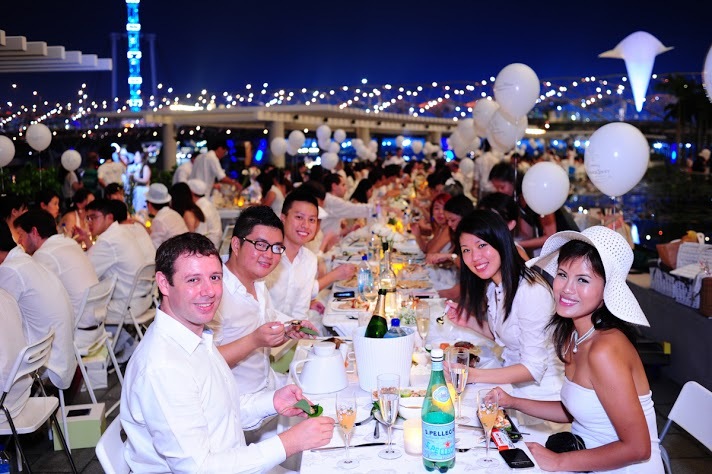 Dîner en Blanc Singapore 2015 is happening on Saturday, 21 November 2015.